Firefox 4 | See this yet? 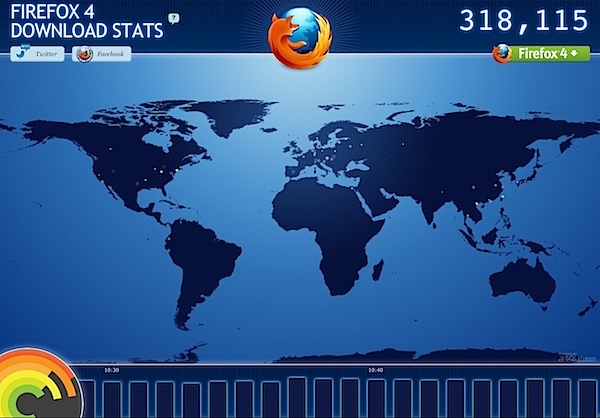 Firefox 4 is live and looking pretty slick. Download it free or check out the fancy-schmancy realtime download stat site below.